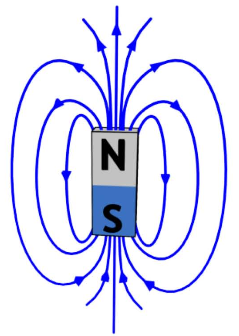 A magnet contains what is called flux lines that radiate from the source. The magnetic field is measured by determining how many of the flux lines are present in a given space and the strength of the flux line. So if you are close to the source of the magnetic field, you may be safer than when you start interacting with a flux line. A Smart Metre for example has a flux line at around 15 feet depending on the model used so if your head is around 15 feet away from the Smart Metre, then you should consider moving your bed or sitting somewhere else. The human brain contains a substance that is magnetic so if you are within an electromagnetic field, your brain and cells will be affected. Many non-biased scientific studies have shown that very low electromagnetic and Radio Frequency fields affect the human body and even more pronounced in Children. There are a number of methods to protect yourself from these fields. Please click for more information for our solutions. We also have more information on our Electromagnetic detail page. We also offer a body harmonization service.